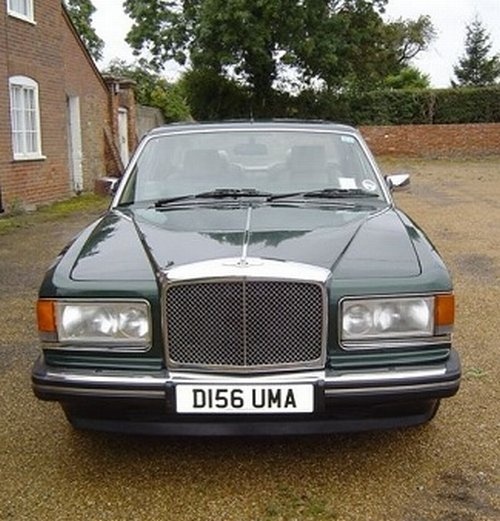 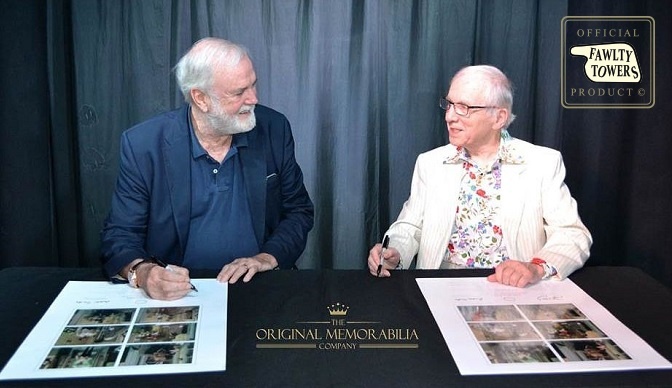 Basil & Manuel ! 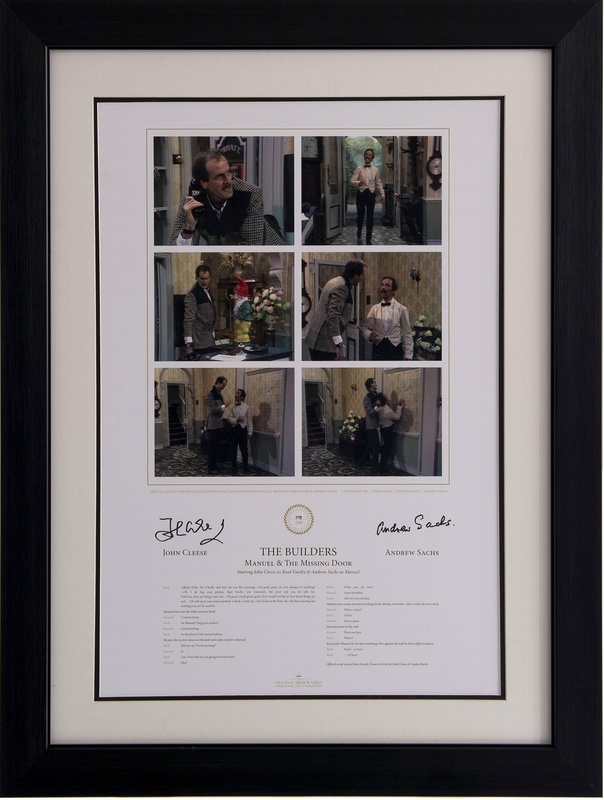 Official never to be repeated Fawlty Towers limited edition hand signed by both Basil & Manuel ! 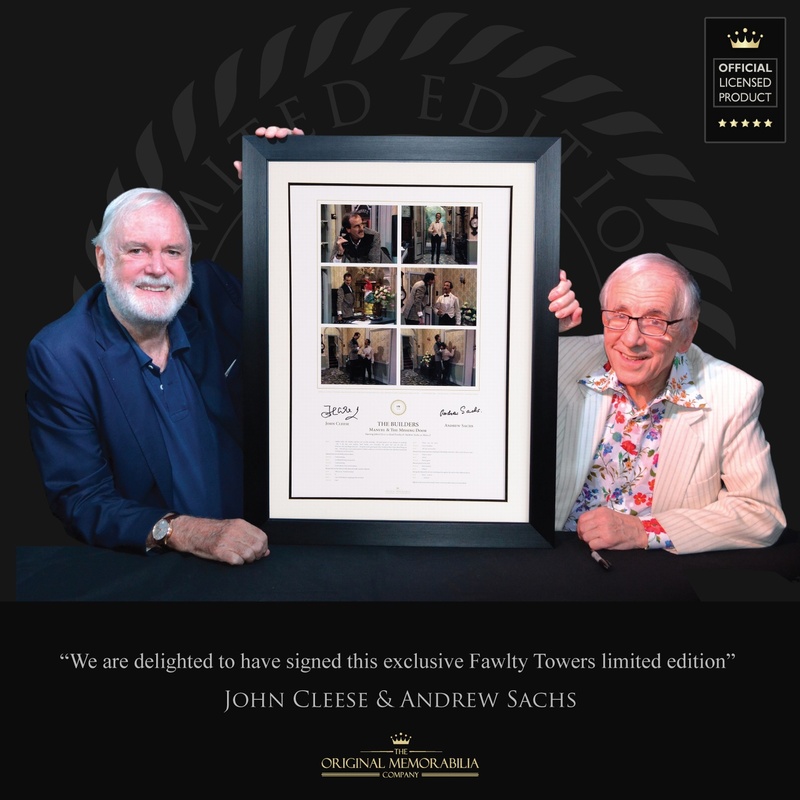 hand signed by both Basil & Manuel ! 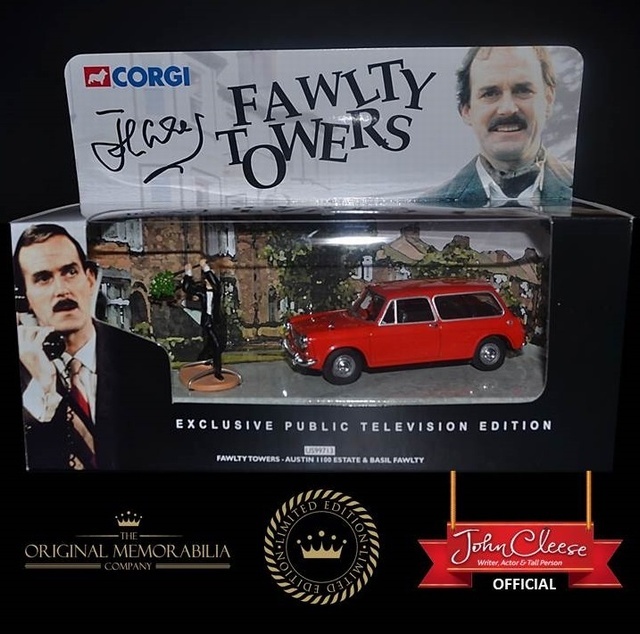 For the first and only time John Cleese and the late great Andrew Sachs have authorised the production of this wonderful limited edition. 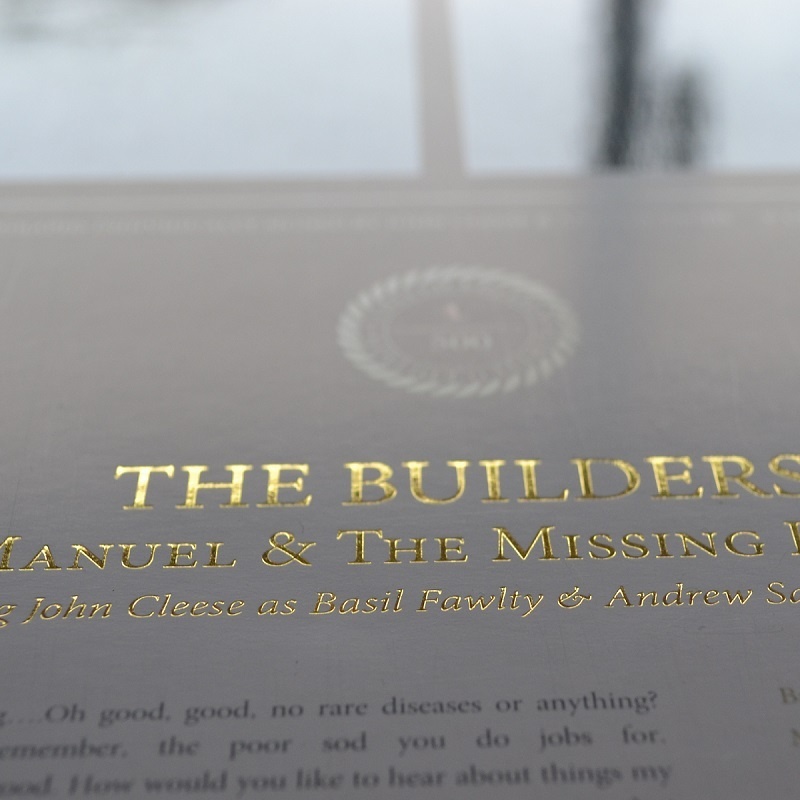 Beautifully presented with 6 official BBC screen stills and 28 lines of official script capturing every word as Basil returns after leaving Manuel in charge of the builders with hilarious consequences. 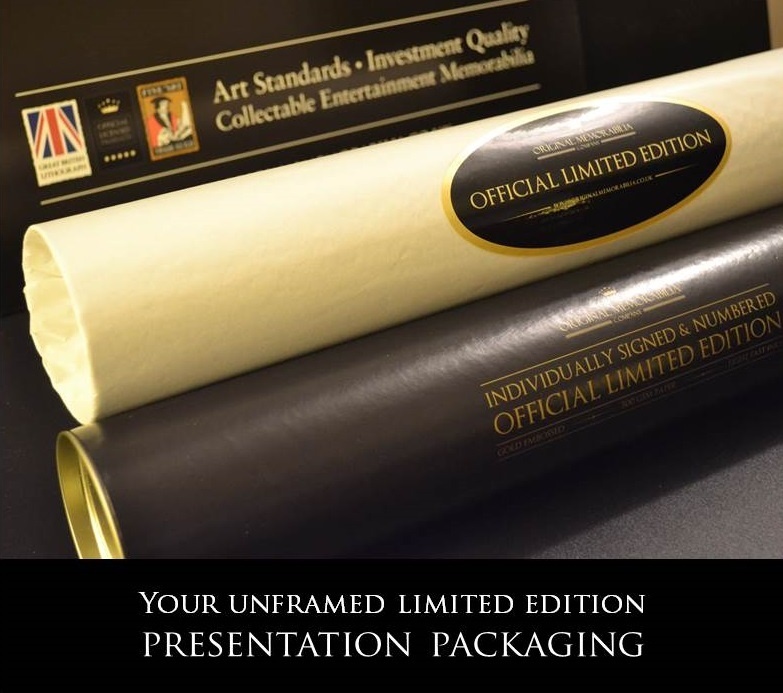 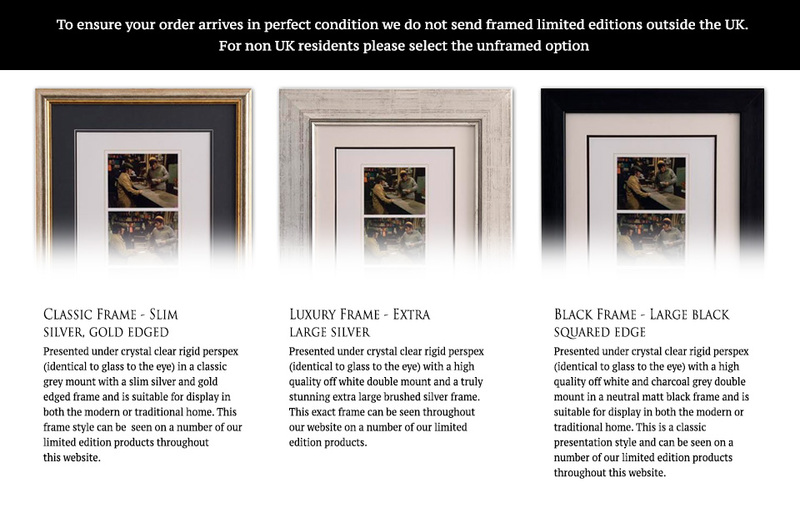 Printed to art quality standards using light fast inks and gloss varnished images on heavyweight archival quality ISO9706 approved 300g stock, each large hand numbered lithograph print has both subjects name and title embossed in beautiful gold block giving a gold leaf finish to your purchase. 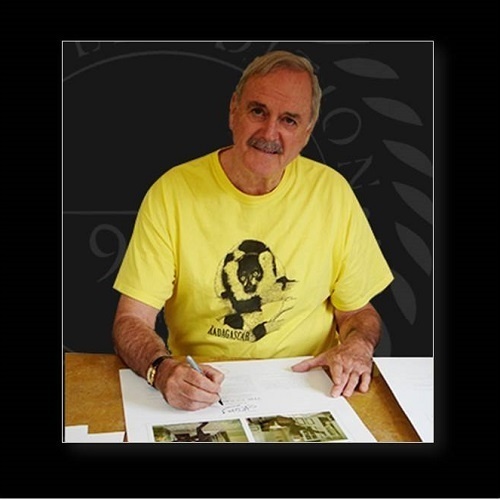 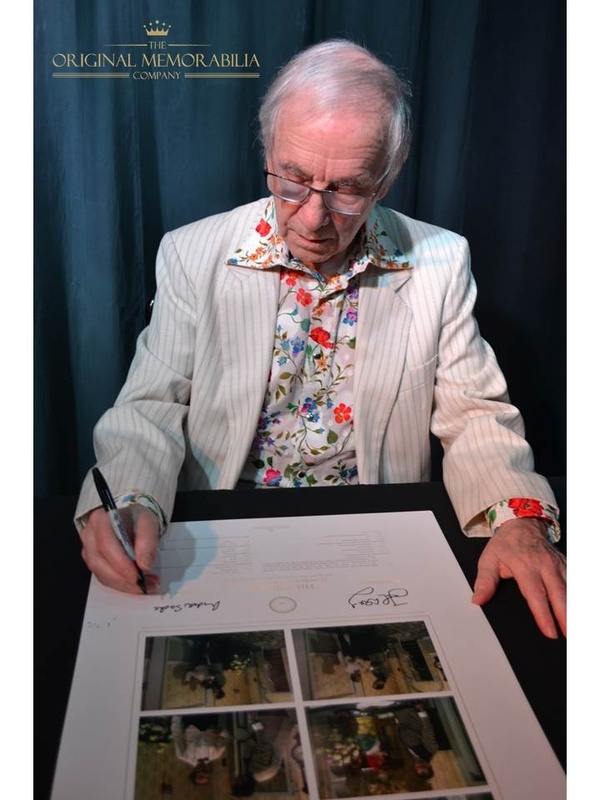 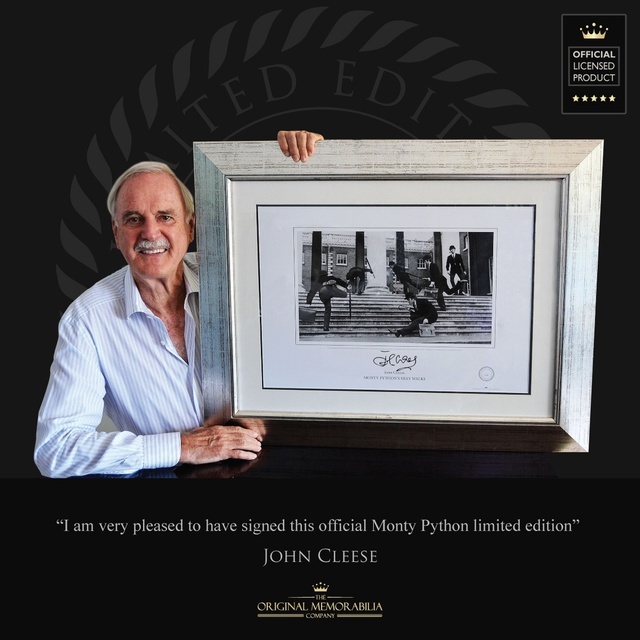 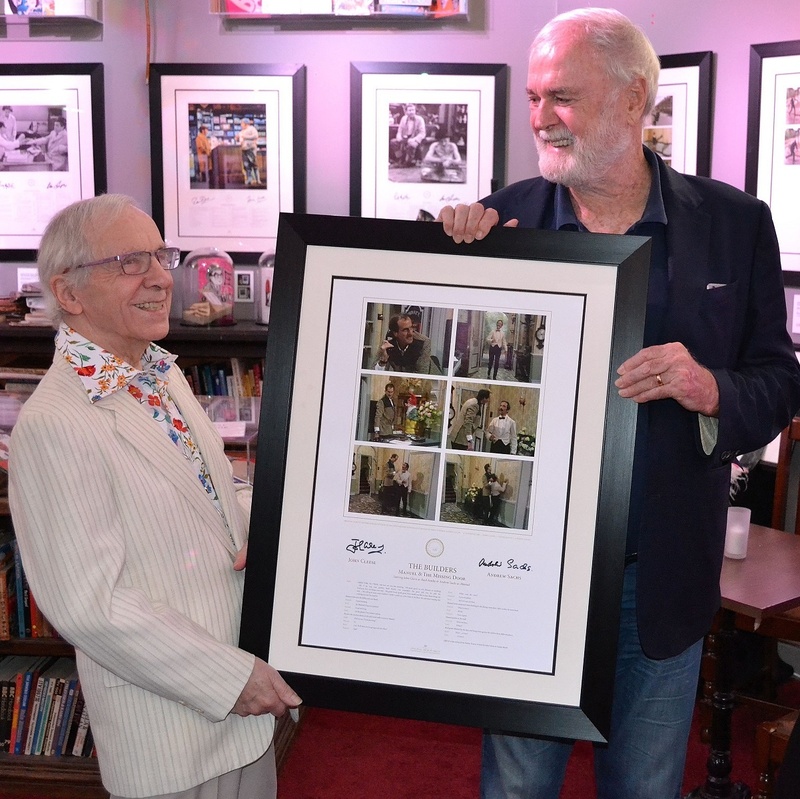 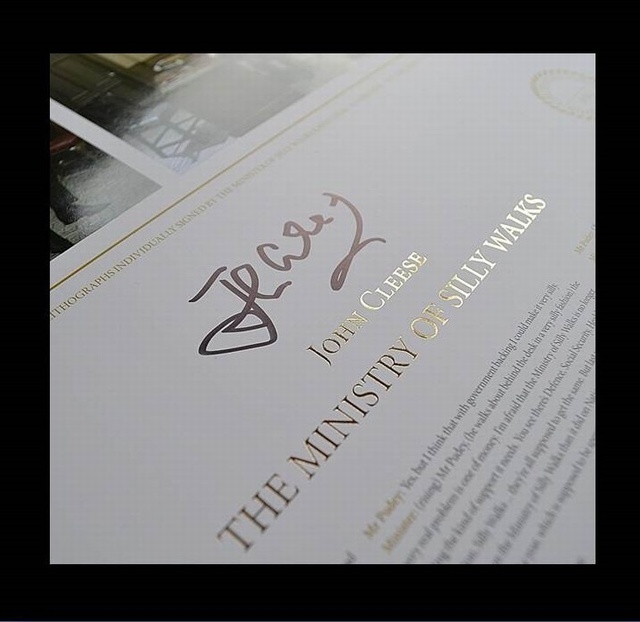 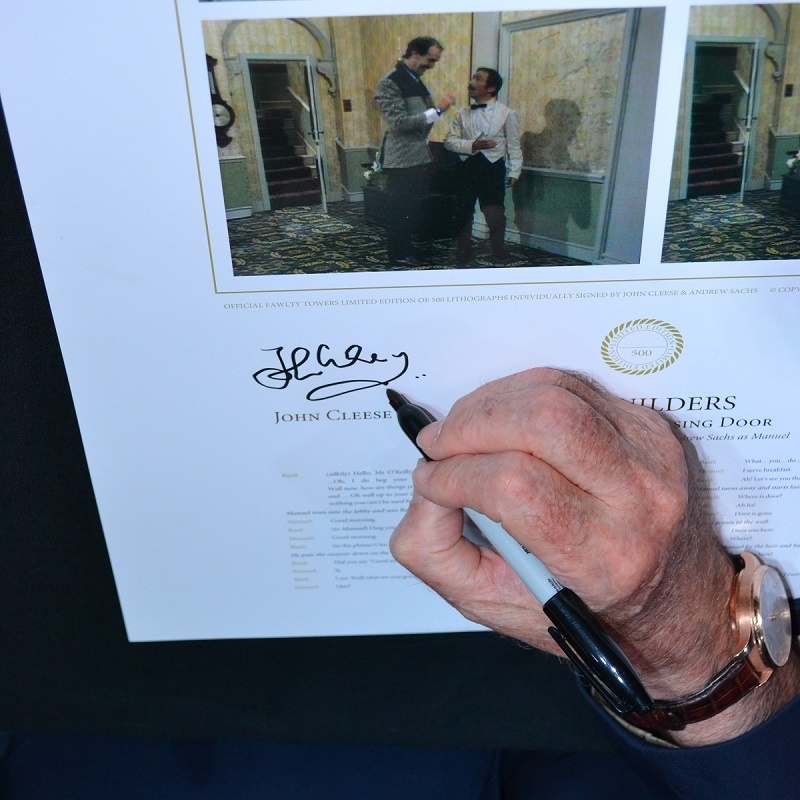 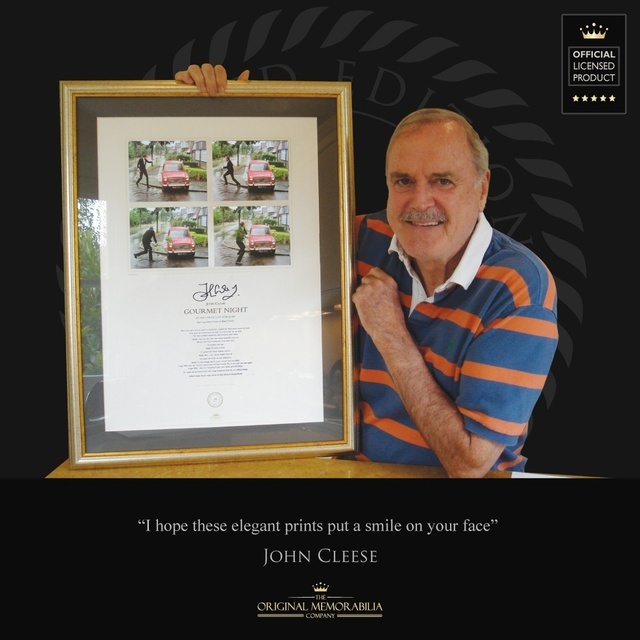 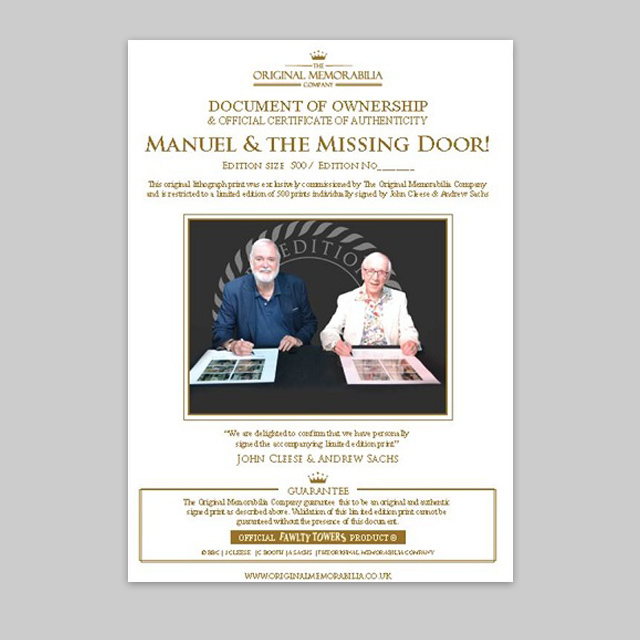 Every single print in this edition has been individually and personally signed by both John Cleese and Andrew Sachs in high density black in.